We at Superstition Review are very pleased to announce that our founding editor, Patricia Colleen Murphy, recently had her first collection of poetry, Hemming Flames, published by Utah State University Press. Hemming Flames was chosen by Stephen Dunn as the winner of the 2016 May Swenson Poetry Award. Throughout this haunting first collection, Patricia Colleen Murphy shows how familial mental illness, addiction, and grief can render even the most courageous person helpless. With depth of feeling, clarity of voice, and artful conflation of surrealist image and experience, she delivers vivid descriptions of soul-shaking events with objective narration, creating psychological portraits contained in sharp, bright language and image. With Plathian relentlessness, Hemming Flames explores the deepest reaches of family dysfunction through highly imaginative language and lines that carry even more emotional weight because they surprise and delight. In landscapes as varied as an Ohio back road, a Russian mental institution, a Korean national landmark, and the summit of Kilimanjaro, each poem sews a new stitch on the dark tapestry of a disturbed suburban family’s world. Thursday September 1st at 7 pm she will be reading with Sarah Vap at Changing Hands Tempe. Thursday September 22nd at 7 pm she will be reading with Sarah Vap and Dexter Booth at ASU’s Hayden Library. On August 20th, Four Chambers Press held a book release for Hemming Flames. If you missed it, you can watch it here. The book is available from Amazon. For more information about the book, please visit its website. Do you remember your school’s book fair? Ours was held in the library, the tables transformed into merchandise displays, books facing out from cardboard stands shaped like Snoopy’s doghouse or Clifford’s gigantic bowl, books grouped by series, recognizable in an instant, the red and white Choose Your Own Adventure logo; the Garfield books arranged like long, squat bricks; Hardy Boys books a blue sky, Nancy Drew a field of yellow. Pricey hardback picture books, too, that always included, year after faithful year, Green Eggs and Ham and Where the Wild Things Are, even though this was elementary school, Dr. Seuss long since replaced by Gary Paulsen. Looking at the picture books a crime punishable by lunchroom teasing. We would visit the fair as a class, our teachers instructing us that we had a few minutes to browse and make our choices, but not to bend the books, which seemed contradictory instructions. You couldn’t really make your choice without bending the book, at least a little. We handled Garfield At Large and The Mystery of Chimney Rock and You’ll Flip, Charlie Brown as if they were the First Folio. We checked prices, added up sums, estimated how much money we could wheedle from our parents. But it’s for books, Mom. You’re always saying how important reading is, right? Everyone else is getting at least twice that much. It was strange to see the school library—the last word in free stuff—become a place of commerce. Two book fair representatives sat at the checkout desk, the place where our librarian, Mrs. Dougherty, usually stamped our copies of Baseball’s Greatest Plays or Shark Attack! weeks before we lost them on the bus, the representatives wearing nametags, oddly overdressed, a black cash box atop the desk, a key turned inside its lock. We weren’t used to buying things at school, and we certainly weren’t used to the library being a place where everyone wanted to go. If the library got too noisy, Mrs. Dougherty would sometimes punish us by making us put our heads down and turning off the lights. After school, the library doubled as a detention center. It was thrilling to think about buying books at the library, as exciting as it would have been if McDonalds took over our cafeteria and served up Big Macs and fries. Later, we’d return to the book fair, sometimes with parents or grandparents (and parents’ wallets and grandparents’ wallets) in tow. Look, we’d say, and pretend we’d just discovered a book we’d been bending all week, its contents nearly memorized, its cost already factored into our asking price. Can we get it? Our parents would regard the book skeptically. This? they’d say. Isn’t this a little young for you? Then they’d reach for a mass-market paperback, Where the Red Fern Grows or Call It Courage or Johnny Tremain, and say, How about one of these instead? And, since we’d anticipated them suggesting something exactly like that, and since we’d already factored the price into our plan, we’d say, Sure, we can get one of those, too. Nowadays, I am that parent at my children’s school book fair. I’m the one who tries to steer them away from books about puppies solving mysteries in France (note adorable beret-wearing pooch on cover), or TV show tie-ins, or the umpteen bazillion books about video games, video games, and more video games. Still, my children want these, and I want them to want books, and I’ve never been good at not spending money on books, so to the register we go, where all the other parents are waiting in line with their children and their children’s stacks of mostly terrible books. We parents give each other a look, as easy to read as any of these slim volumes: wish we could have gotten these on Amazon instead. For many years I resisted submitting my work to online journals. I suppose I was afraid they didn’t have the reputation of paper journals, and that my university wouldn’t consider them legitimate venues for a creative writing professor’s work. Or maybe there was something off-putting about reading something on the same plastic device I composed it on. Reading my work in published form already makes me squirm; too often I want to declunkify numerous sentences. At least if the story or essay is already in a book or journal there’s not much you can do about it. It’s there with all its blemishes permanently intact. Words on a computer screen, on the other hand, seem so ephemeral. All writers want their work to survive the ages. A book might become thick with dust, but you can still store, and then later find it on a shelf. With one click on a computer you can replace your work in an on-line journal with Miley Cyrus’s latest twerking pic. But two years ago my attitude towards online journals changed completely. At AWP one year, novelist Leslie Pietrzyk asked me to submit something to Redux, a new on-line journal devoted to “reprinting” stories, poems and essays that had once appeared in journals now “languishing on dusty library shelves.” No one had ever solicited work from me before. I was thrilled, even it was “only” for an on-line journal. Some months later I sent Leslie “Tourist Season at Auschwitz,” which originally appeared in The Gettysburg Review. (I found out later that the issue containing my essay sold out.) It appeared in Redux a month or two later. The journal is a simple affair. Each weekly issue contains just one story, essay or poem, followed by an account of its composition. Leslie uses a simple WordPress blogging program with few bells and whistles. This being a labor of love, Redux can’t pay its contributors. At about the same time Traveler’s Tales published A Small Key Opens Big Doors, one of four anthologies celebrating the 50th anniversary of the Peace Corps. It contains my essay “Caroline,” which first appeared some years ago in Cimarron Review. (Like “Tourist Season at Auschwitz,” “Caroline” sprang from the same frantic pile of material I wrote after my three visits to Auschwitz in the early 90’s.) It’s a beautiful volume—thick, creamy paper, an eye catching, dark red cover. It looks like an appropriate Christmas gift, or something you’d give to someone going into the Peace Corps. My remuneration? Contributor’s copies. I pushed both the anthology and the online journal, using all the social networking I could stomach: My blog, Twitter, Facebook, etc. Because the essays are drawn from a common material I was able to broadcast both on any number of Facebook pages, including ones devoted to Peace Corps Poland, Polish American Writers, and stories of World War II. I included links to the journal, and links to the appropriate Amazon page. I soon realized what I’m sure is obvious to others: more people read “Tourist Season at Auschwitz” than “Caroline.” You can track hits on Redux, same as you can track sales on Amazon. People responded to “Tourist Season” on all the Facebook pages. Most of them even said nice things about it. It got around. People shared it on other pages. Some still do, in fact. “Caroline?” Not so much. Maybe it’s a weaker essay. I don’t know. More likely, the anthology is simply harder to share. Asking someone one to click on a link and read is far easier than asking someone to click on a link, pony up $20, and then wait a week for the book to show up. I don’t have to do that as often anymore. Now, I can just say, “Superstition Review. My name is in the index.” Not even that, actually. If they have a smart phone, I can find my work for them immediately. And they do. I can’t deny it. I like the feel of them. I even like how some of the issues containing my work have begun to yellow and grow brittle. It was a big deal to me when my first story made it into print. It took a lot of years for it to happen. When I see that issue of Red Cedar Review on my shelf it’s like looking at the trophy I won for little league baseball. When the journal first came out I didn’t give much thought to readers. First and foremost I wanted to see my name in print. Now I think more about an audience. I have enough paper journals on my shelf; I want to be read. For good or bad it’s simply easier to reach an audience with an online journal than with a paper one. Besides, if someone likes my work, say in Superstition Review, they can click on the appropriate link, pony up $20, and in a week my book will be in their mail box. Sure, journals containing your work look nice when you get them. You know what else looks good? Royalty checks. 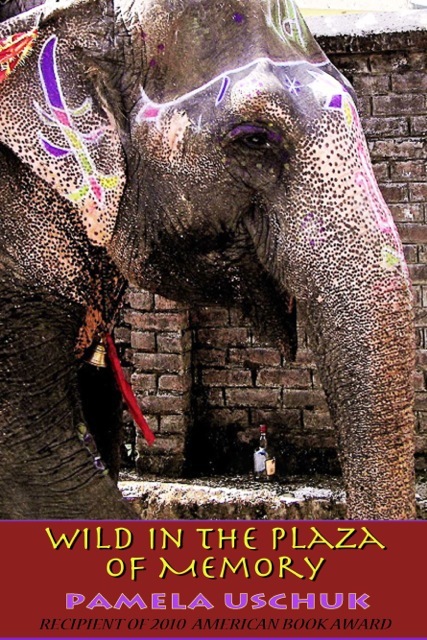 We are very excited to announce the publication of Pamela Uschuk’s fifth poetry collection, WILD IN THE PLAZA OF MEMORY, by Wings Press, San Antonio, Texas. It is a paperback, but it is also available as an eBook, iBook and on Kindle. You can read Pam’s poems in Issue 7 of Superstition Review. Each week we feature a blog post by one of our many talented interns here at Superstition Review. This week’s contribution comes from Nonfiction Editor Jennie Ricks. The literary magazine Narrative has started to dig deep into the changing digital world by offering a variety of options to its readers. Its ultimate vision is to connect writers and readers around the globe, which has prompted the publication to distribute their issue online for free. Narrative was the first literary magazine on Amazon’s Kindle; it also offers an App, which is a free download for the iPhone, iPad, and the iPod. Their readers are able to access new stories each week the second they are published, as well as watch and listen to authors speak at events, and browse and select stories from award-winning authors like Sherman Alexie, T.C. Boyle, and Joyce Carol Oates. Not only does Narrative publish fiction, nonfiction, and poetry, it also provides unique opportunities for writing and reading. One category is the “six-word story:” authors tell their story in only six words. Cartoons, graphic stories, and audio readings are also available to readers. Narrative offers a wide selection of writing contests for writers to hone their craft. The most recent contest targeted writers between the ages of 18 and 30. Their next contest is open to both fiction and nonfiction pieces and called the Winter 2012 Story Contest (deadline is March 31). Not only are the winner’s published, but they also walk away with cash prizes. Narrative is an intriguing literary magazine that offers many varieties of writing and reading for individuals with different preferences. It opens up options to people who want something fun and different, and have adapted to incorporate new options for a changing digital age. 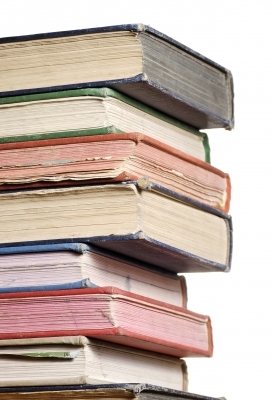 Are eBooks Pushing Print to Extinction? There is something about the aroma of a worn book that induces a sense of nostalgia. Print aficionados have fought to maintain the sanctity of printed press, but as the popularity of eReaders and tablets continues to rise, how long can book-advocates withstand the pressures of a technology-driven society? With Apple’s iPad, Amazon’s Kindle, and Barnes & Noble’s Nook leading the revolution, more and more readers are turning to the instant gratification of eBooks and digital readers over more traditional mediums. They can now hold entire libraries in their hands, buy a book with the tap of a finger, and read until their screens go dark. So what’s not to love? Some argue the experience is not the same. A book’s battery never goes dead. Browsing an App Store can’t compete with wandering the shelves of a bookstore and running your fingers along the spines. Holding a book in your hands, with its binding and tangible pages, doesn’t feel the same as holding plastic, aluminum, or glass. Books are permanent entities whereas digital media feels ephemeral; an ebook you own could be there one day and gone the next, but a printed media will withstand decades. Actor and journalist Stephen Fry said recently, “Books are no more threatened by the Kindle than stairs by elevators.” Other authors would agree that while eBooks are convenient, they will never replace print. However, some statistics show that the move towards eReaders is happening more aggressively. In a recent article, The Wall Street Journal estimated that one in six Americans now uses an eReader, a number that has nearly doubled since 2010. That statistic is estimated to more than triple in these next few years, which leads to the question, what will become of print? The bright side to this new trend is that eReaders aren’t entirely replacing books in American households; many readers own both an eReader and a hearty bookshelf filled with volumes of print. According to the Wall Street Journal, amongst eReader users only 6% admit to not purchasing a single book in the past year, which is a much better percentage than the 32% of Americans who haven’t purchased a book at all in the past year. Perhaps the accessibility of books on an eReader increases not only book sales, but also reading and literacy rates. Both book lovers and eReader advocates have strong feelings on the topic. It will be interesting to see what the future holds for both print books and their digital counterparts. Scott Sivinski is a Senior at Arizona State University majoring in Literature, Writing and Film. Superstition Review: What do you do for SR? 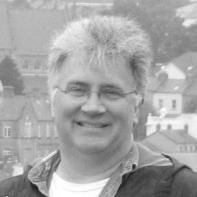 Scott Sivinski: I am formatting the work we have to be sent out to Amazon to use on Kindle. SR: How did you hear about or get involved with Superstition Review? SS: I heard about the Review in an email, probably from the English department. SR: Who is your dream contributor to the journal? Talk about him/her. SS: David Sedaris who is one of my favorite authors and memoirists would be a great contributor. He has stories for everything. SR: What job, other than your own, would you like to try out in the journal? SS: I would like to be involved with the nonfiction group, probably as editor. SR: What are you most excited for in the upcoming issue? SS: I just can’t wait to read all of the submissions and just see the issue in its entirety since it is something I helped produce. SR: What was the first book you remember falling in love with and what made it so special? SS: Weekend by Christopher Pike was the first book I remember loving. It was a mystery and involved people just a little older than me and it really kick-started my reading habit. I still mostly read mysteries or thrillers along with the occasional memoir. SS: I am currently reading the new memoir by Kathy Griffin who I find to be hilarious. SR: What are some of your favorite websites to waste time on or distract you from homework? SS: I like Entertainment Weekly’s website because it covers all aspects of entertainment including music, film and book reviews. I also like a site called dlisted because it makes fun of our cultures obsession with celebrities and his blogs are always hilarious. SR: Do you write? Tell us about a project you’re working on. SS: I do write on my own and keep a journal, but right now all I am writing is papers for other classes. I have six classes and five of them are English courses so I’m doing a lot of drafts and stuff right now and working on my applied project for graduation. When people think of the editing process, they often think that poetry is excluded. There seems to be a stereotype that poems are a one-step process: that you either write a great poem or you don’t. That’s actually not the case–many poems that are considered great by the literary community are the product of diligent editing. 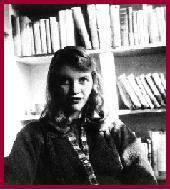 To use a more contemporary example, let’s look at Sylvia Plath: while she didn’t edit her poems quite as much as her contemporaries, a book wholly dedicated to her original work has recently been released. (Though in all fairness, some of those original poems were released in 1981 Collected Poems by Ted Hughes). 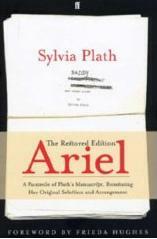 One book that shows Plath’s true intention for her poems is Ariel: The Restored Edition. But what does all of that have to do with Superstition Review? Well, because we’re a literary magazine, we not only receive poetry that has already been through multiple edits, but we also edit poetry that we receive if we feel that we want to publish a particular poem that needs some minor changes before it’s ready for print. But you don’t need to be an editor or part of a magazine staff to edit poetry. Whether you’re a writer or someone who may be curious about the editing and publishing industry, the ability to enhance a poem is an important asset. While reading and being exposed to many different forms of poetry will be key to helping you recognize what should and should not be in a poem, there are some basic rules to make sure that any poem is on its way to being ready for publication. Check back tomorrow to find out some basic rules for making a poem the best that it can be!